Nadia Lolas finds inspiration from her every day environment. 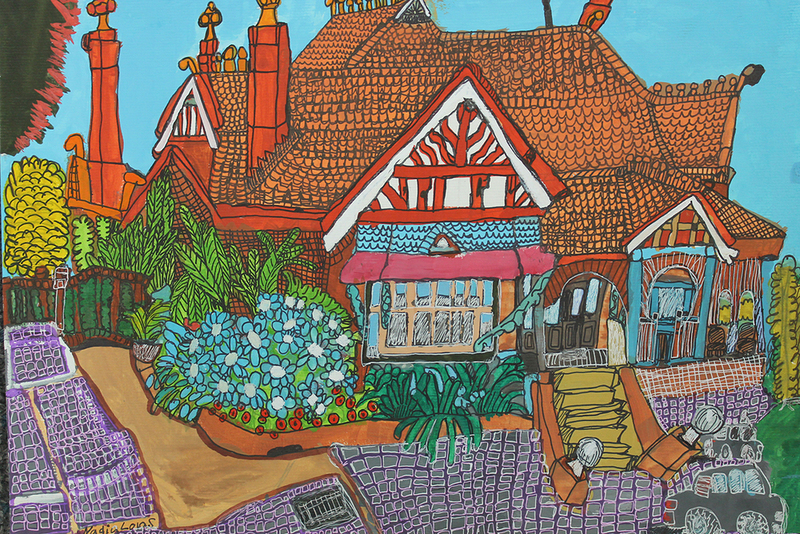 Her paintings reference gardens, urban landscapes and, commonly, portraits and scenes from her favourite television series, Neighbours. 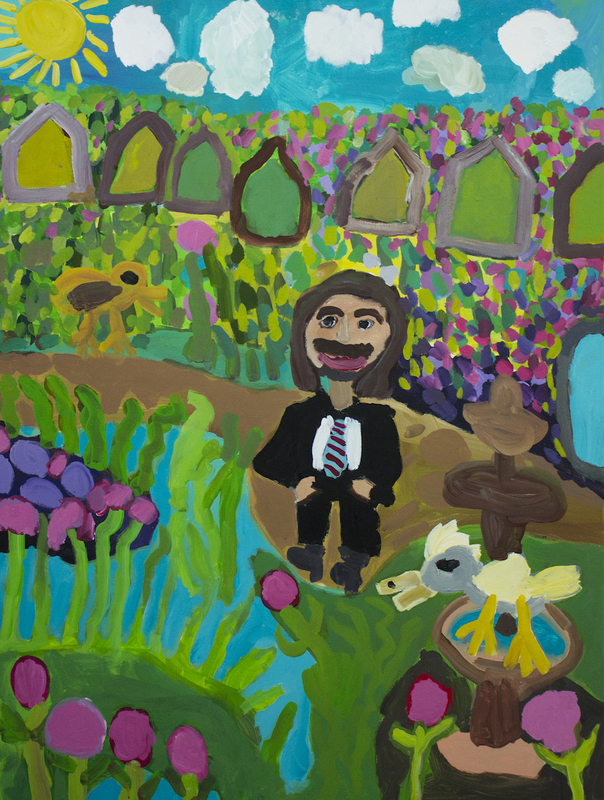 It is her excitement for these familiar pleasures that she so easily translates into her paintings and drawings. With the support of Studio A, Nadia has worked as an artist in residence at Historic Houses Trust, Erth Visual and Physical, Gaffa Gallery and The Paper Mill. In 2016 she undertook a mentorship with esteemed painter, Laura Jones, resulting in a three-panel triptych collaborative painting titled ‘The Secret Garden’. This painting now hangs in ING Direct in Sydney’s CBD. 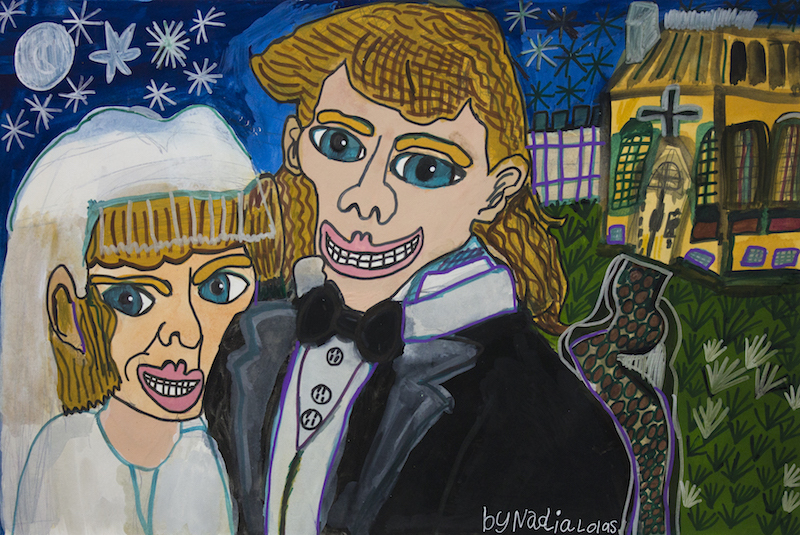 Before attending Studio A, Nadia was a solely self-taught artist. Her passion for drawing is reflected in the impressive portfolio of work she developed simply practicing at home during her adolescence. According to Nadia’s mother, Susan, “Art is her life”. Nadia aspires to work vocationally as an artist, and dreams of studying painting at a tertiary level. Work by Nadia is held in various collections including Artbank.